Midwest Town Braces For More Steel Layoffs : The Two-Way U.S. Steel is shutting down its Granite City Works in southern Illinois. The plant makes flat-rolled steel for oil companies, which have been hit by lower oil prices. U.S. Steel's Granite City Works in 2011. U.S. Steel will be shutting down a steel mill in southern Illinois, laying off more than 2000 workers. The company says in a statement that it will consolidate its North American flat-rolled operations and temporarily close its Granite City Works plant, which is across the Mississippi River from St. Louis. Granite City Works is the primary flat-roll steel supplier for U.S. Steel's Lone Star, Texas, business that makes pipe and specialty tubular products for the oil and gas industry. It's another sign that the plummeting price of oil is hurting the nation's second-largest steelmaker; the sharp drop in oil prices has led to a drop-off in drilling and oil and gas production, thus reducing demand for Lone Star's tubular steel products. U.S. Steel Corp. has also been hit by a surge in cheaper imported steel, especially from China. According to the St. Louis Post-Dispatch, steel imported to the U.S. rose 38 percent last year from 2013 levels. The strong dollar makes imported steel cheaper for U.S. buyers, but the company and the United Steelworkers Union also blame unfair trade practices. Union officials say they have no idea how long the shutdown and the layoffs of 2,080 workers will last. A company spokeswoman says re-opening will be "based on market conditions." No matter how long it lasts, the plant closing will likely hit Granite City hard. The city is already dealing with the pending permanent closure of U.S. Steel's coke-making operation there, which will cost 176 people their jobs, as well as the temporary shutdown of one of Granite City Works' blast furnaces. 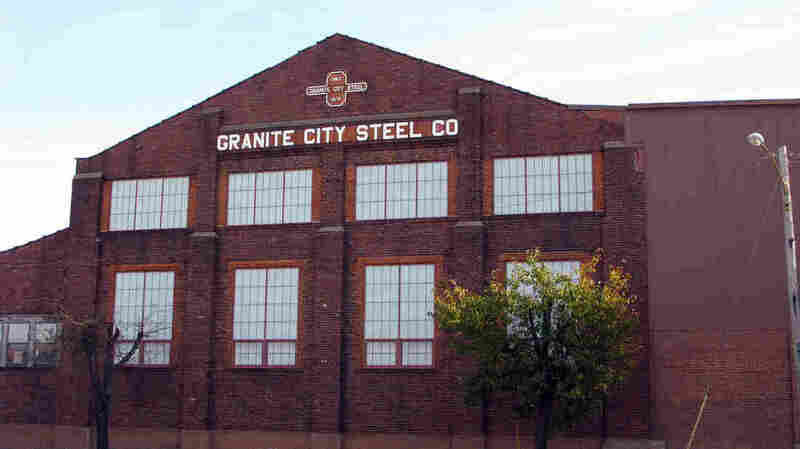 Granite City's mayor and other leaders fear a "domino effect," as the layoffs will hurt businesses that rely on the steel mill and its employees as customers.